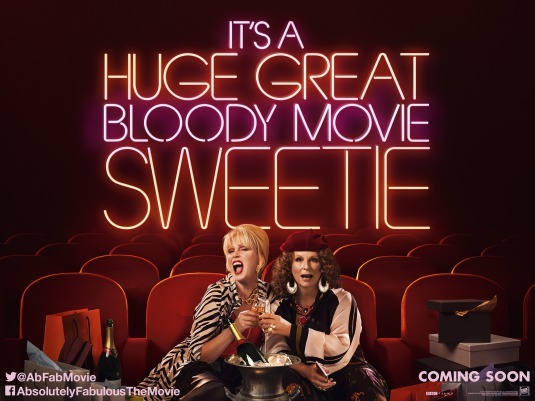 We're happy to offer our DC readers a chance to attend a free screening of Absolutely Fabulous: The Movie, the star-studded reunion of Jennifer Saunders and Joanna Lumley as the glitzy Edina and Patsy! 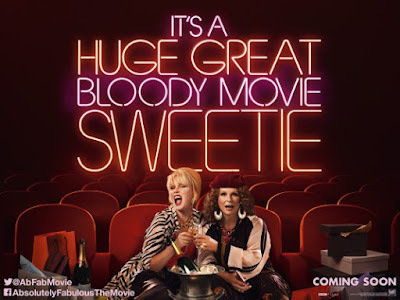 SYNOPSIS: Appropriate for their big screen debut, Edina and Patsy (Jennifer Saunders and Joanna Lumley) are still oozing glitz and glamour, living the high life they are accustomed to; shopping, drinking and clubbing their way around London’s trendiest hotspots. Blamed for a major incident at an uber fashionable launch party, they become entangled in a media storm and are relentlessly pursued by the paparazzi. Fleeing penniless to the glamorous playground of the super-rich, the French Riviera, they hatch a plan to make their escape permanent and live the high life forever more! The screening takes place on Monday, July 18th at 7:30pm at AMC Mazza Gallerie. If you're interested in attending, simply go to the Fox Searchlight ticketing site here and download one Admit-Two pass. Please be aware that having passes does not guarantee entry and you will need to arrive early to ensure receiving a seat. Enjoy the show! Absolutely Fabulous: The Movie opens July 22nd.